Indie music PR / publicity services from Prescription PR, a leading UK music PR agency based in London and Cambridge. We have fantastic contacts in all areas of credible media and have a rich past of breaking indie artists new and old in all areas of the national and online press. Whatever your genre and whatever your level, we’re ready to help - just get in touch. We’ve been working with Girl Band since the beginning. Their early material excited us instantly and drew an overwhelming amount of support at the blog level, with the band breaking through on Pitchfork before too long. Early 2014 saw them granted a full NMERadar feature, going on to appear at numerous international festivals including Primavera and gradually seeing their own headline shows get bigger and bigger. With a debut album slated for 2015, and a deal done with Domino Publishing, they’re a one to watch for many. Similarly, Happyness approached us about their debut EP, a record that we all fell in love with. We introduced the record to key UK new music supporters like The Line of Best Fit,NME, DIY, The 405 and Clash and found a swell of anticipation for more material. When the album surfaced, we ensured that NME ran a full Radar feature, and that further support came from The Guardian, Sunday Times, Q, Uncut, DIY, Loud & Quiet and more. We also brought the band their first pieces of international support, with a Ones To Watch at Stereogum helping to pave the way for their first steps to touring the US, playing CMJ and a SXSW 2015 booking. We have recently taken the band Big Deal from their first single, a limited 7”, to a signing with tastemaker label Moshi Moshi – who have put out records for Hot Chip, The Drums, Florence and The Machine and many others. We also secured key new talent features in The Guardian, NME, Clash, Uncut and The Fly for the band. We did the same with Johnny Foreigner, our team having worked with the band from the beginning to help establish them, and we worked with them again on their third album in 2011 – an album which achieved the greatest first-week sales of their entire career do far. Canadian duo The Zolas came to us with a brand new release, looking for an introduction to the UK market. The Prescription PR team ensured that their album was supported at Q, Mojo, Uncut, NME, Clash, The Observer, The Independent, DIY, The Line of Best Fit, Artrocker, The 405, MTV and more, allowing them to establish partners in the UK and build momentum overseas. Liverpool’s The Loud came to us with a debut mini-album which garnered coverage from NME, Clash, Artrocker and The Fly, with a single being spun across BBC London, XFM, Amazing Radio and Tom Robinson, plus a full live session for Steve Lamacq’s BBC 6 Music show from Maida Vale. In 2012, we took Simian Ghost from being an almost unknown Swedish act to Pitchforkmainstays, confirming lead reviews in The Times and Word and further coverage inMojo, NME, Uncut, Nylon, DIY, Alternative Ulster and The Fly whilst also prompting The Guardian to call Youth an “early contender for album of the year”. Here Is Your Temple, also from Sweden, charged us with testing the water in the UK with their debut EP release. Support from The Guardian, NME, Clash, Q, Notion, DiS, The 405and Digital Spy ultimately saw the band sign to Universal in Sweden. We have had the great pleasure of working one of the best indie-rock records of recent times in Weezer’s Pinkerton which was re-issued with our help through Universal at the tail-end of 2010. 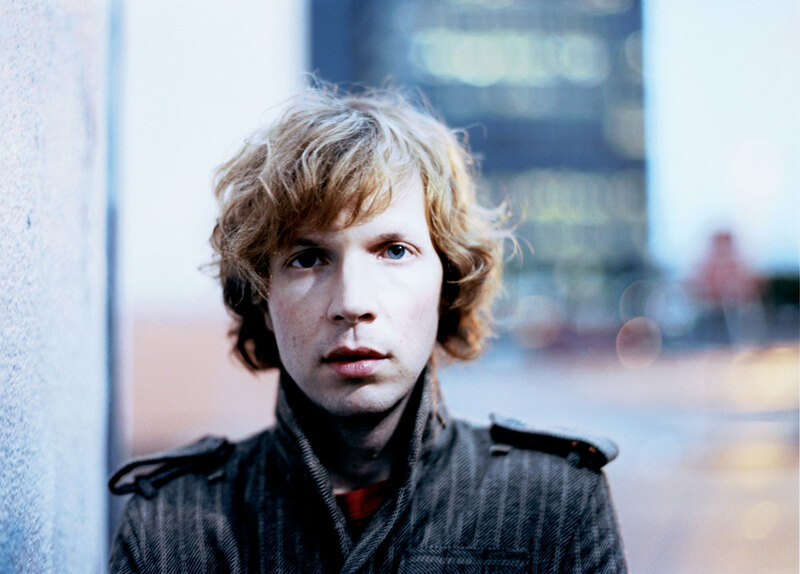 We have generated widespread coverage for the likes of Beck, Nigel Godrich andBroken Social Scene in regards to their contributions to the hugely successful Scott Pilgrim vs. The World soundtrack. James McMahon, in a piece we secured, said that the soundtrack “raises the bar for movie music”. Legendary power-pop act The Posies (who famously backed Big Star, and feature Ken Stringfellow who also played in REM) also had their most coverage in years when we helped promote Blood / Candy through Ryko. We have a keen regard for the underground and are helping the hip-hop sounds of2000FW (ex-Groove Armada, Roots Manuva, Clor) to take shape. We helped Irish act Heathers make The Daily Telegraph’s tips for 2011 feature, which has since lead to live performances for Steve Lamacq and The Fly. Japandroids are one of the most exciting new guitar bands in the world, and we got them featured in a number of end of 2012 “best albums” lists and their single The House That Heaven Built included in NME and Kerrang!’s songs of the year. We provided the campaign for their 2nd album, Celebration Rock, that delivered over 40 pieces of national press for the band. Working with Menomena, one of the US’s finest experimental-indie acts, we helped their 2012 album Moms, to a CD Of The Week piece in The Sunday Times and 4 star reviews from Mojo, Uncut, NME, Artrocker, The Guardian, The Independent and a whole host of others across the UK and Ireland. Their first London date post-campaign was completely sold out. We secured excellent coverage for Norwegian songwriter Mikhael Paskalev (currently unsigned in the UK) including a glowing Guardian New Band Of The Day piece, a Nylonfeature in the US, a Times broadsheet Essential Track - the only other band featured were Muse. We also got him featured in world famous style photographer Rankin’s magazine Hunger. All in a month’s campaign. We worked with Syd Arthur from a self-release of “Ode The Summer” EP and debut album “On An On”, securing coverage at Q, Mojo, Uncut, Record Collector, features withClassic RockandProg, The Guardian’s New Band of The Day, as well as support from dailies and weeklies like NME, The Guardian, The Independent, The Daily Express andThe Mirror. As a result, Syd Arthur have toured with Paul Weller, White Denim, played with Vampire Weekend and secured festival appearances at Coachella. The band ultimately signed to EMI’s Harvest label. For more information about our music festival PR and event PR services, don't hesitate to contact us today. If you'd like to read more about the other genres for which we provide music publicity, you can view all our music PR services here.